Essentia Financial Coaching empowers, motivates and inspires women to create their own money management style to achieve the lifestyle of their dreams. 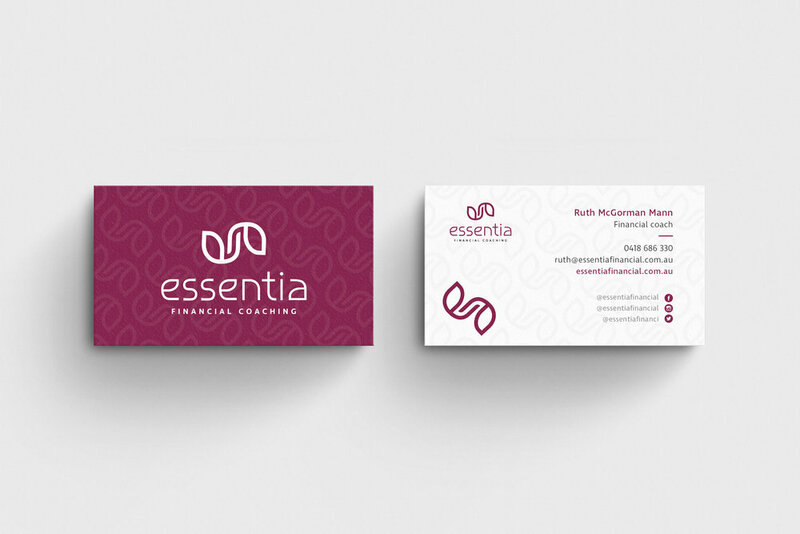 Essentia Financial Coaching founder Ruth McGorman had a vision to create a feminine and approachable brand that would appeal to a demographic of goal orientated women. The brand was to convey a soft, holistic tone that would support a safe environment where women can explore and create their own money story. "I wanted to let you know Tahlia that the logo design, collateral creation and social media images you produced for Essentia are absolutely beautiful and exactly what I had hoped for. I am so happy I decided to work with you. You really understood what my business was going to be about and took on board each of the design elements and examples I sent you. You made it so easy to provide feedback and willingly took on the changes I made throughout the process. I really appreciated the additional tips and feedback you provided me as we were working together, especially as this is my first foray into the world of logo creation and brand development. I now feel confident that I have everything I need to provide a consistent brand across my online and in-person presence. Thank you so much."